It's now Easier than Ever Before to be Proactive in Your Shop. 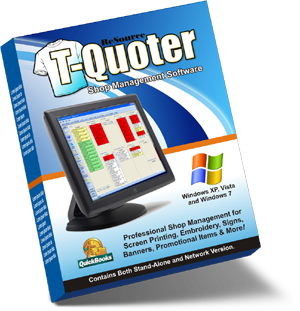 Manage screen printing, embroidery, signs, banners, promotional items, and more all with a single program. It makes running a screen printing and embroidery shop fun again! Still have questions? Call our sales department today at 800-818-0492 and we'll answer any questions you may have. You can make a one-time outright purchase, or you can make 12 small monthly payments with our small business payment plan.